Finished Oct 2017. Final score: 4 / 5. This book won an award. The premise sounded amusing, and the audiobook is narrated by Wil Wheaton. I enjoyed Lock In, which was also narrated by Wil Wheaton. I knew the book had something to do with the Star Trek underlings. This was a different yet enjoyable style of Star Trek. I dove in to this book thinking it'd be about the the underlings taking over the Enterprise. I was wrong. Very wrong. There are plenty of stories where the characters are "trapped in a story". However, this one had quite an interesting take on it. It took a few turns with each iteration getting more interesting. The self-reflecting commentary was nice. At the end there was a series of essays. This was the worst part of the book. I was actually pleading the book to end because each successive essay was decreasing my enjoyment and overall opinion of the book. My recommendation: It is a good book. Worth reading. Abandon ship once the real story ends and the essays begin. 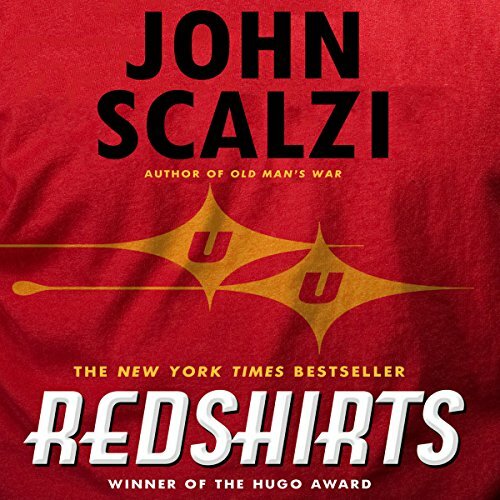 Discuss Redshirts: A Novel with Three Codas in the forums.